Dear Friends, I am reaching out to you today seeking your help for a very poor family. I know this person personally. Mariyappan, aged 58, met with an accident on 26th March night, when he was visiting his daughter near Tiruchengode. 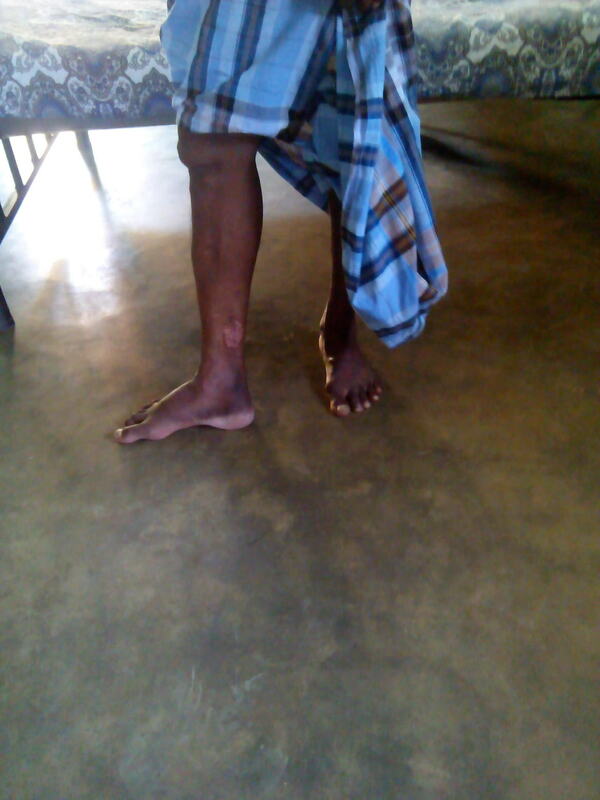 The bus wheel crushed his right leg , foot, thus causing severe fractures in his right leg and injuring his left knee. His right leg was operated upon and plates and rods were implanted. The cost of the surgery alone is estimated to be Rs. 70,000. Further he has been advised to stay put in the hospital for some more time. The recovery maybe take around 3 months, during when he cannot work and support his family. He was the sole breadwinner in his family, working as a temporary cook in plantations in Idikki, Kerala. Having got both his daughters married, he has accumulated some debt. He was to have started off on a temporary job on April1st. However since he is out of action, he is not in a position to earn his daily wage of 330Rs either. 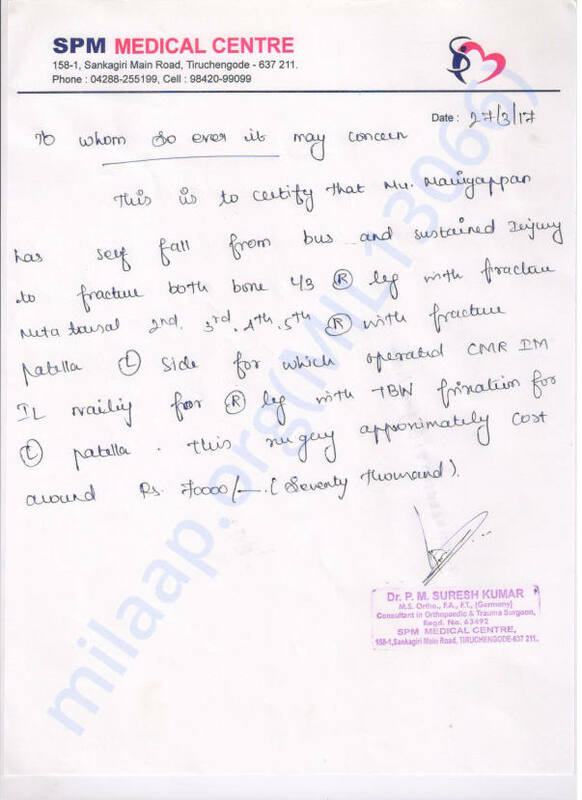 Thus, he requires about 1.5lakhs for his surgery, medical expenditure and to survive without a job for next 3 months. A few of us are pitching in about Rs.50,000. Please pitch in whatever help you can offer to this poor man. Should you be in a position to do so, please donate to the below mentioned account of Mariyappan. Kindly confirm with any reference ID, once you transfer . I shall have someone in his family check. For any further details on Mariayappan's health, you may get in touch with his daughter Jayasri on 80129 17161. Please note, she is conversant in Tamil and Malayalam. Thank you for the support you have shown Mariyappan. He is recovering slowly. He is still not able to walk properly and bend his legs. Please do share this campaign further with your friends and family to help Mariyappan. Thank you once again for the support. We wish to place on record our deep gratitude to all the donors for the financial assistance. Mariyappan is recovering after the surgery. The plaster cast has been removed and he is moving around slowly. 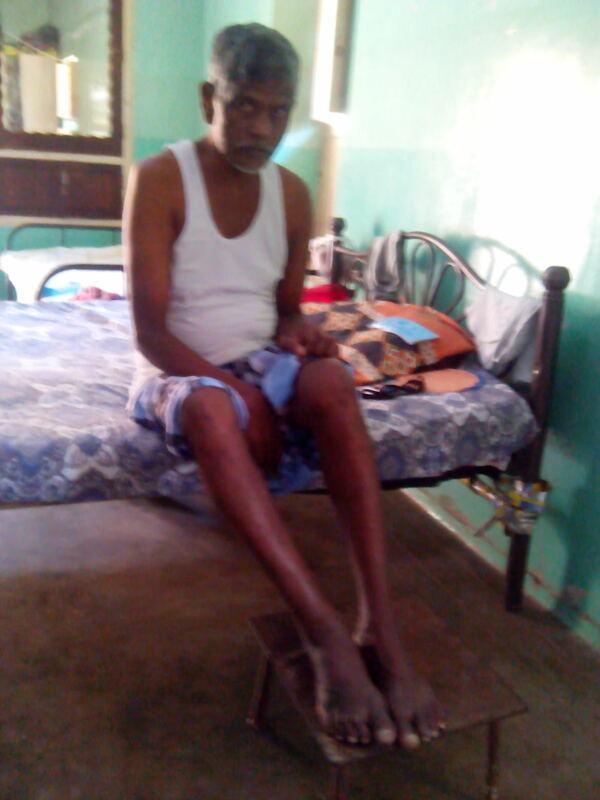 He is able to walk short distances, but his legs swell up and pain. 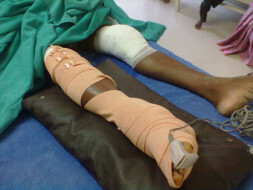 He is still not able to bend his legs and so is undergoing physiotherapy. He is still under medication for pain relief. His full recovery and his return to normal activities may take a couple of months more, as advised by the medical officer treating him. Since he does not have any source of income , he is fully dependant on support from others. Our family members and friends, like you the donors, are helping him out. Mariyappan's present pictures will be taken and posted shortly. I am obliged to help.